We're making it easier to implement safe area and large titles for iOS 11 in a new service release candidate of Xamarin.Forms. Try out the package and let us know your feedback. If testing goes well the next few days, we'll promote this to NuGet shortly. Happy to see Large titles getting treatment on Xamarin.Forms. Seems to work otherwise great, but NavigationPage within TabbedPage has issue. Not sure is it something app developer should take care of or should it be part of default behaviour. When scrolling up the page in NavigationPage, the title gets smaller as it should. However, bottom of the page gets moved up and navigation page background becomes visible. Sorry about the code. Can't get the formatting work correctly here. If testing goes well the next few days, we'll promote this to NuGet shortly. Hi. When do think the new version will be on nuget? Is it launched or not yet? Recently just keep so many version update and making me have to update others third party to suit it. We've fixed a ListView issue with HasUnevenRows that was reported on SR4, and we'll investigate the issue raised above. Hope to have this on NuGet asap. @DavidOrtinau Awesome! Keep us posted. Semms like viewcell has a hardcoded left padding on iOS 11. This is a dealbreaker for all my apps if i cant get around it. This is pretty bad indeed. Did you create a bug for this? @BjornB I can confirm this same behavior. Unfortunately the class is internal so we cannot modify it. Have had no joy with safe areas. 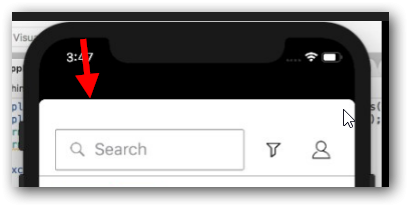 If I simplify my app to load into a ContentPage and set SetUseSafeAreas to false, the app still shows 'boxed' with black areas to the top and bottom of the screen on iPhone X. The splash screen is also displaying in the same manner. EDIT: Found the issue, wasn't using a LaunchScreen.storyboard which causes the app to run in Compatability Mode. Adding this solves the problem. Setting custom inset values in the on appearing method is weird,,, as it first displays the default safe area insets provided by the system and then it changes. How to avoid the transition, so that users can see the custom safe insets in the first place.. Can't use ViewWillAppear,, as there is no setter to set safe area insets in the page renderer. Can we use this to detect whether the app is running on iPhone X or other devices? It seems that the value of SafeAreaInsets are always 0. Tried out as mentioned in blog, but didn’t know how to access SetPrefersLargeTitles under Xamarin forms content page in below line mentioned in above link. I have exactly the same issue as @cherant. I also use Xamarin.Forms 2.5.0.280555 version packages in my project. The issue occurs because of launch image not set for iPhone X separately. In Assets.Xcassets iPhone X option not shown in it. As mentioned in below link update Visual Studio for Mac with latest version 7.4 and iPhone X launch option show in it. Now above mentioned issue resolved resolved. You can use safe area to set top and bottom spacing as your requirement. Hmm, sorry for not seeing these messages earlier. For those having any issues with large titles or safe area insets, keep an eye on the nightly builds where the team is continuing to improve the support. However, the navigation bar is still very large - like the pic in your blog post ("Large Titles"). Any ideas on what I might be doing wrong or missed? (I tried to include a pic of my iOS emulator output, but I "haven't been a user long enough"). I am using VS2017, and all my Xamarin components are updated, and I did grab the 2.4.0, sr4 from the link (in the blog). Is there a way to left align a non large title? The large title max chars is like 17-20 and if I try switch to a non-large one, things get ugly, because now the title is centered. Also, is there a way to set the indentation of the right aligned large title? Without the above described two, the use of the package is minimal in my opinion. This is not working in tabbed page. @DavidOrtinau Safe area insets appear to be 0 in the constructor of the main page because ViewSafeAreaInsetsDidChange() fires after the page is constructed. Unfortunately, setting custom padding in OnAppearing() is not ideal because sometimes iOS/Forms will render the page before the padding is set and update the layout afterwards. 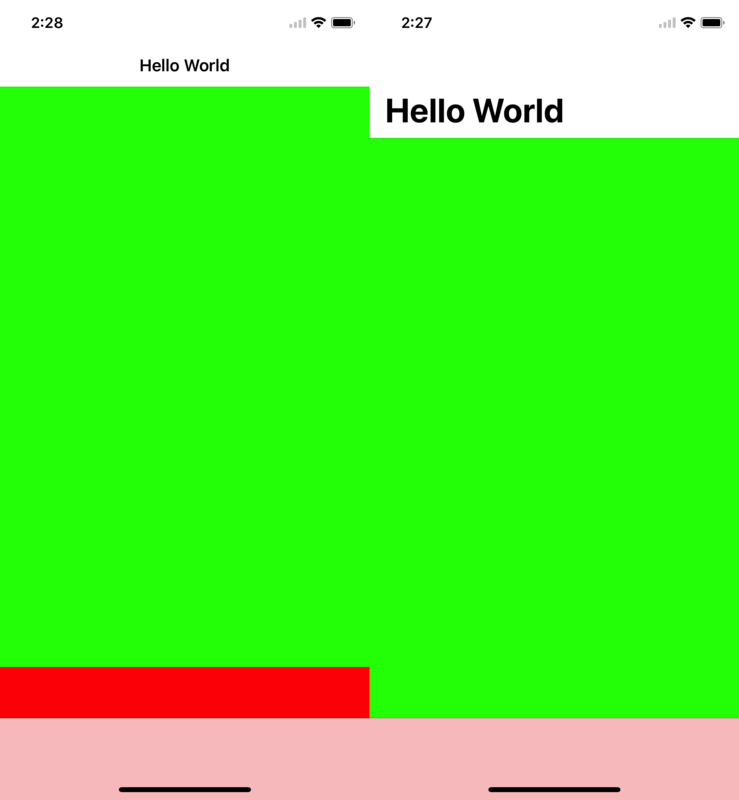 @DavidOrtinau The workaround I came up with was creating a custom renderer and overriding ViewWillLayoutSubviews(). 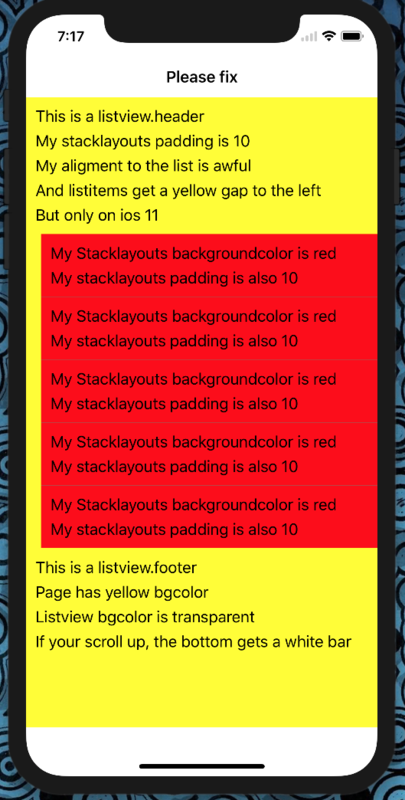 After ViewSafeAreaInsetsDidChange() is called, iOS will trigger another layout and we can set main page control heights there instead of using OnAppearing(). Not a very ideal solution, but it works at least. It worked, after adding this in XAML simulator automatically handling the notch, do I need to add this tag on each content page? or is there any way I can implement it globally for entire application? One more thing, in my application I have used CarouselPage as well, above mention code is not working with CarouselPages, is there any other way to handle notch for CarouselPages?